Labuan officially the Federal Territory of Labuan (Malay: Wilayah Persekutuan Labuan) is a federal territory of Malaysia. It is made up of the eponymous Labuan Island and six smaller islands, and is located off the coast of the state of Sabah in East Malaysia. Labuan's capital is Victoria and is best known as an offshore financial centre offering international financial and business services via Labuan IBFC since 1990 as well as being an offshore support hub for deep water oil and gas activities in the region. It is also a tourist destination for people travelling through Sabah, nearby Bruneians and scuba divers. The name Labuan derives from the Malay word labuhan which means harbour. Labuan is often referred to as the pearl of Borneo. This attractive park, located close to Labuan’s airport, was once the splendid garden of the official residence of Labuan’s British Governors and Residents, originally built in 1852. The house itself was destroyed in 1945 during WWII and only a tiny fragment remains. The grounds were landscaped and converted into a public park in 2001. This famous Botanical Gardens was previously the grounds of the Government House that is locally known as the 'Bumbung 12'. The park possesses amazing landscape and beautiful old trees. 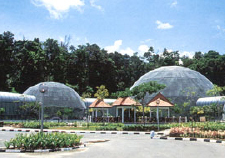 This bird park covers a 6 hectare site at the north of the island and includes a number of geodesic domes in which the birds have some space to fly around. Since it looked a little tired and I did not have much time I did not go inside. 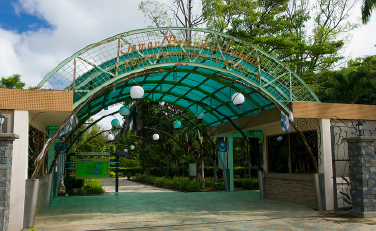 It has mixed reviews but if you like bird parks, this is one of the cheapest in Malaysia. Adult RM3 (foreigners RM5). The 6.9 hectares big Labuan Bird Park acts as a home to all kinds of Borneo birds where you can hardly see it around anywhere except in the deep forests of Borneo. Labuan Island is also known as the Pearl of South China Sea. Thus, it possesses multiple beautiful beaches. They are Batu Manikar Beach, Pancur Hitam Beach and Layang - Layangan Beach, just to name a few. 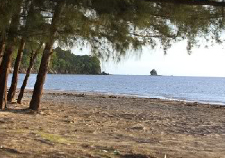 All of these beaches including the Pancur Hitam Beach which we are talking about now has won the United Nation COBSEA Clean Beach Award 2008. Pancur Hitanm Beach is the home of Labuan's most luxurious house. 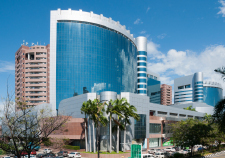 This development of shining glass and concrete towers houses the Labuan Financial Services Authority (formerly Labuan Offshore Financial Services Authority) and some of the Labuan IBFC companies that it regulates. 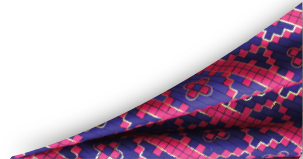 Labuan aims to offer simplified and attractive taxes in a well regulated jurisdiction. For most tourists it is not really one of the top Labuan attractions but the complex does contain, shops, a supermarket and a food court. Spanning across 12 acres, Financial Park Complex is the largest integrated commercial landmark in the Federal Territory of Labuan, consisting of a mixture of shop lots, retail outlets, shopping mall, corporate office towers and serviced apartments.